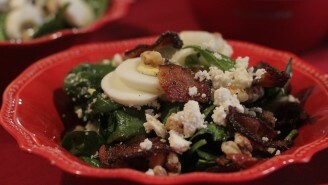 NOTE: This is one salad recipe you will use over and over. It is so full of flavor, and all topped off with a sweet sour sauce, that really brings it all together. Yum! 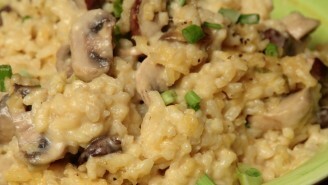 NOTE: This Creamy Mushroom Risotto is so smooth and delicious, it will taste like silk in your mouth. 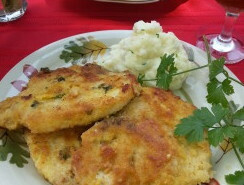 You will love this wonderful Italian dish, and it will go perfect on your Thanksgiving table. 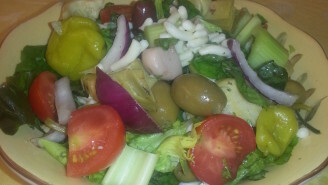 NOTE: This salad is bursting with flavor. 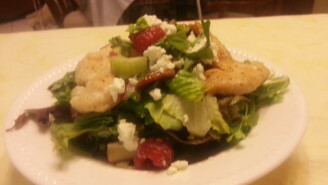 From the warm grilled chicken over tender greens and fresh fruit, to the sweet Raspberry Poppy Seed Vinaigrette, this salad is a dream. NOTE: This chicken is mouth-watering good! Crispy on the outside and juicy on the inside. Goes well with most any vegetable, especially Rosalie’s Roasted Garlic Asparagus. 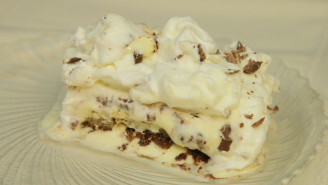 NOTE: Tiramisu is a popular Italian dessert and means “pic-me-up.” You will love the mascarpone custard and chopped chocolate that laces this wonderful treat. 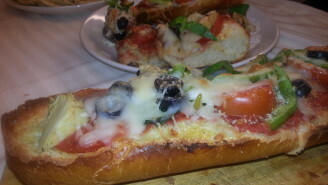 Note: This bruschetta can be sliced in 2-inch slices for a great appetizer. They are so good, your taste buds will jump up and down for joy. Use any combination of your favorite pizza toppings. NOTE: These little red and green stuffed peppers are not only attractive, but very tasty. 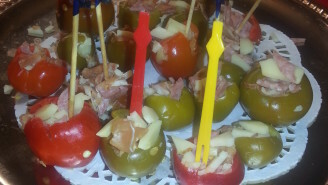 They make great appetizers for parties, or just anytime you want a fun food. 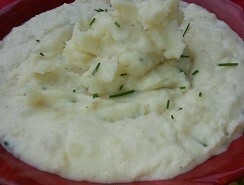 NOTE: These Garlic Cheese Mashed Potatoes are creamy and rich with just the right amount of garlic. They are a dream and will pair nicely with most any entree. NOTE: These pork chops may be the best you have ever had. They are melt-in-your- mouth delicious! 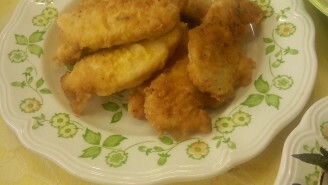 Easy and quick to prepare, they are a dream on a busy night!